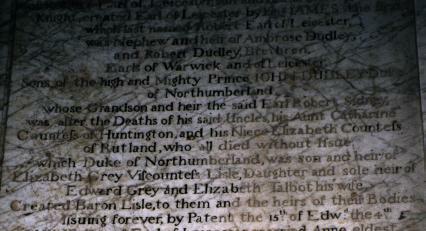 Tomb of the 5th Earl of Leicester (died 1705). Erected 1743. Showing ancestry back to Edward Grey and Elizabeth Talbot. mar Garret Og Fitzgerald, 9th Earl of Kildare and had issue. Henry Grey, 1st Duke of Suffolk.